If your kitchen appliances don’t match, one way that you can make your kitchen more cohesive-looking without getting all new kitchenware is ordering new doors or face panels for them. If you have a dishwasher, oftentimes the panels will be white on one side and black on the other… all you have to do is slide out the panel and flip it around! You can also get creative with your cabinetry; by repainting cabinets instead of purchasing new ones, you can create a wonderful space without spending a lot of money. Next to kitchens, bathrooms are often the most important rooms to update and can be improved without a lot of investment. Even if you can’t afford a full remodel, look into simple ways to make a big difference: new toilet seats and pedestal sinks are easy for homeowners to install and they make a big difference in the look of the bathroom. If your tub and shower are looking a little worse for wear, re-grout the tile and replace any chipped tiles. It’s cheaper than paying to re-tile the walls or refinish a worn tub. Who doesn’t love extra storage? If you have cramped storage areas, consider adding do-it-yourself wire and laminate closet systems to bedrooms, pantries and entry closets. Your storage places will become more functional while you’re living in the house and they’ll make your home look more customized to potential buyers when you’re ready to sell. Further, a clutter-free home appears cleaner and larger, which is more attractive and valuable to homebuyers; they want to be able to visualize themselves living in the space. Outdated light fixtures or poor lighting can take attention away from your home’s most attractive features. Don’t forget to swap out your old light bulbs for ones with higher wattage, as more intense lights make small spaces feel larger and soft lighting brings warmth to empty spaces. Are your doorknobs a little flimsy? Spring for a substantial handle-and-lock set; a nice, big piece of hardware on the front door signals to newcomers that this is a solid home. Stuck with a basic steel front door? Paint it for more eye appeal! It only takes a few hours and adds a nice aesthetic to your home. A welcoming entrance plays into a homebuyer’s first impression and should complement your home’s overall design. A nicely mowed lawn, well-placed flowers and shrubs and a swept walkway make a great first impression. Consider planting shade trees—mature trees make your home more desirable and can also cut your cooling costs by as much as 40 percent—and plants that are native to your region; these will require less water and maintenance and will add significant curb appeal to your home. Grouping potted plants with colorful blooms is another way to create instant curb appeal and boost the value of your home. Lining the front entry with two or three large terra-cotta pots and some bright flowers enhances spaces and vastly improves the first impression of your home. Last but most effective, transfer your energy needs to solar! Cutting energy costs saves you money now and is a more valuable and marketable asset. According to a study by the Department of Energy, solar panels not only increase home value but buyers will pay more for homes with rooftop solar panels and they will buy them faster than equivalent houses without a solar system. These researchers also found that buyers were ready to pay a premium of $15,000 for a home with an average-sized solar system. 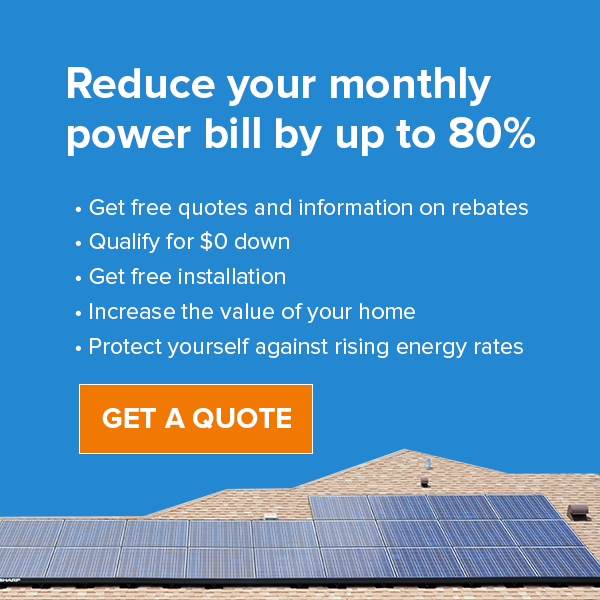 What’s more, a solar system is cheaper than what you’re currently paying for energy… so you’ll be able to reap the benefits of having solar panels while waiting for your home to sell. Of course, after having invested in these low-cost home improvement strategies, you won’t be waiting long at all. If you have any questions or are interested in how a solar panel system can help improve your home value, contact us at 407-331-9077.